Beach Fossils went out on a quickie trip earlier this year in support of their Ride-referencing, Exclaim!-approved Clash the Truth LP, but the Brooklyn act have announced a much larger trip begins next month. By the middle of April, the act heads out to Richmond, VA, to start a month-long North American trek, which includes a Canadian stop at Vancouver's Electric Owl on April 26. This is Beach Fossils' third Canuck appearance of 2013, following a pair of gigs in Montreal and Toronto in February. You can see the upcoming North American dates down below and check out the band's European schedule over here. 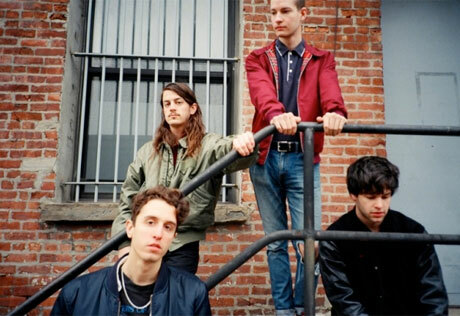 Beach Fossils Return with 'Somersault' LP, Share "This Year"